The Family of Chimps was filmed from July - October 1983 in Arnhem Zoo, the Netherlands. It is a piece of cinematographic ethology and was designated as "best Dutch scientific film" of 1984. After the film was shown on television, visitors to the Zoo looked at the chimpanzees with different eyes. They watched for a longer time, waiting to see events similar to the ones they saw on television. "Simple" behaviour patterns as drinking water, throwing sticks and play received more attention than before. People seemed more interested and knew better what to expect. Some of the chimps were recognized by visitors. On a night in 1985, the film was shown to the chimpanzees. The group was in the inside hall when the projector started running. All of the chimps watched the image in complete silence. They seemed to be very interested. Some had their hairs erect. 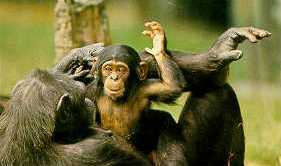 When, in the movie, a female chimpanzee was attacked by pubertal males, several indignant barks were heard, but it was impossible to tell if the chimps actually recognized the actors. That changed when Nikkie, who had died a year earlier, appeared. Adult male Dandy immediately bared his teeth in a nervous grin and ran screaming to adult male Yeroen, his big rival at that time. He embraced Yeroen and literally sat in his lap. Yeroen, too, had an uncertain grin on his face. There was no doubt that the males had recognized the late leader and that Nikkie's "resurrection" had temporarily turned the rivals back into coalition partners. In 2009, the film was used as a basis for the unique theatre play Hominid, a spectacular combination of science and theatre that made time be forgotten. Bert Haanstra (1916- 1997) was an internationally renowned Dutch film maker, famous for his powers of observation. His documentary "Glass" won him an Academy Award for the best short film of 1959. 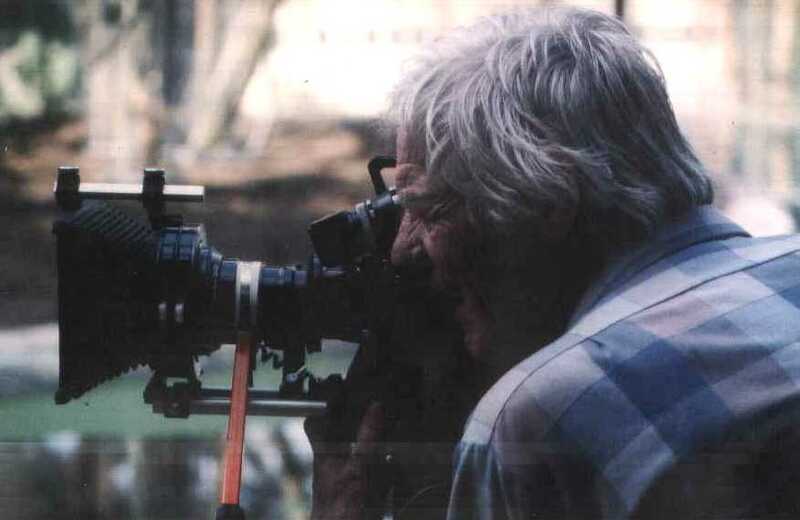 Bert Haanstra made several films about the behaviour of humans and animals. In "Zoo" (1962) and "The Human Dutch" (1963), he introduced the hidden camera. The documentary "Ape and Super Ape" (1972, aka "Instinct for Survival") compared the behaviour of animals and humans and got him an Academy Award nomination. Haanstra made two films in Arnhem Zoo: "The Family of Chimps" (1984) and "Monument for a gorilla" (1986). "The most powerful chimpanzee of the Netherlands"
"The Family of Chimps" is superb. I haven't enjoyed a filmportrait of a species so much for many years. It is a marvellous compilation which must have taken an enormous amount of time and care to obtain, but is is so well edited that it appears to flow simply from one incident to the next in a wonderfully natural way. The detail recorded is remarkable and, although I know chimpanzees very well, I learned a great deal from it, while being thoroughly entertained and even laughing out loud occasionally, despite the fact that I watched it on my own. The wonderful product "The Family of Chimps" presents the apes as real personalities, capturing chimpanzee social intelligence as no documentary has ever done before. I had left the Netherlands before it was made and watched it the first time with tears in my eyes because of the loving attention with which all of my old friends are depicted. A special film indeed. 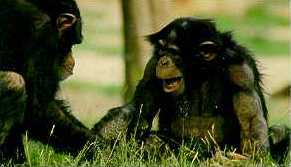 Special because Haanstra has not recorded the behaviour of the chimpanzees merely as a series of activities, but has succeeded in showing them as meaningful actions. He makes visible the elements of purpose and of judgement in the behaviour of these relatives of ourselves. This is not only a fascinating film, but truly a unique document of cinematographic ethology. As a primate ethologist, I found "The Family of Chimps" the best film on chimpanzees I have seen; and not just in content. Even professional filmers rarely build up a development as Haanstra has admirably done, but demonstrate the end stage. The narration is a masterpiece in good taste, charm and yet accuracy. "The Family of Chimps" gives much more than a survey of the behaviour of this ape-species, related closest to man. It helps the audience to observe and in doing so to obtain insight in the way chimps solve their daily problems. One begins to sense what passes within the minds of these animals and becomes aware that psychological processes are taking place inside them, of which we have thought too long to own the monopoly. Bert Haanstra has made a unique and most valuable documentary.